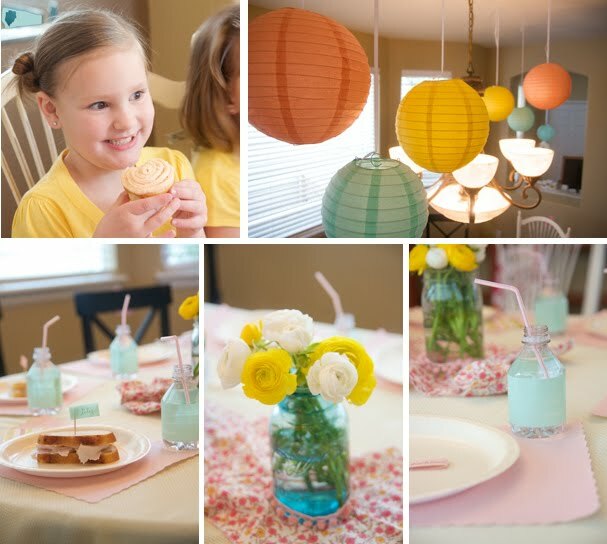 Tangled and True: lily: paper doll party! 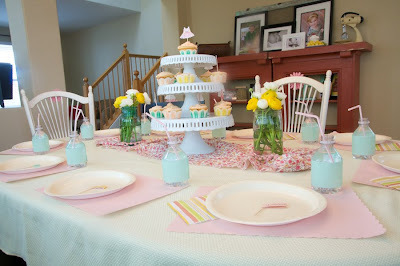 Today's party is my own daughters.. I didn't want to wait any longer to post pictures. I have to say, I love the way Lily's party turned out. It was everything I hoped it would be, and every guest showed up! I couldn't have been happier. I have received more thank you notes (from Lily) in the last 4 days than I have in my entire life. She was SO happy. It made the whole thing worth it. Here are some pictures for your viewing pleasure. If you have any questions, don't hesitate to ask. I'm happy to give all my sources. The invite. The back had pink dresses with all the info. This banner was a last minute decision. I was going to make a big fancy one and ran out of time. I flattened the cupcake papers, printed the letters for happy birthday on my computer and sized them to fit the center circle. It turned out perfect! 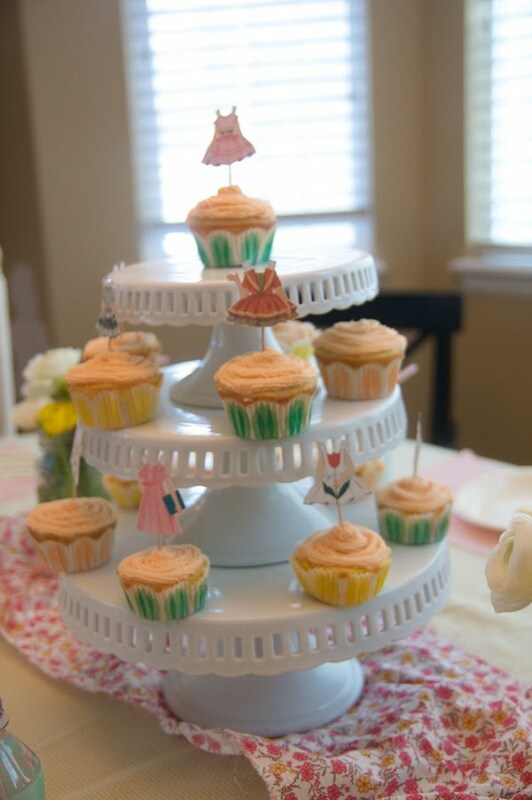 The cupcake tower. I hand-cut paper doll dresses and attached them to toothpicks. 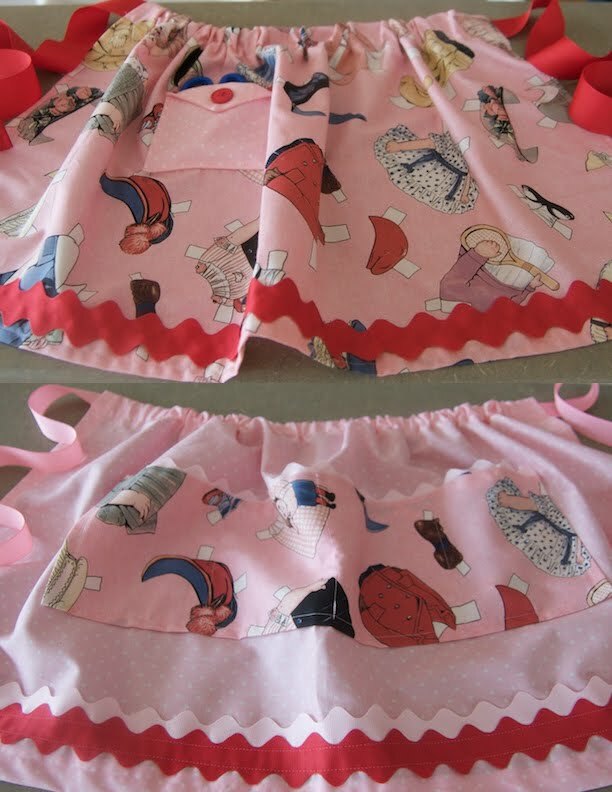 My mom found this paper doll fabric and made an apron for each girl. After their lunch, each girl was outfitted with an apron, glue stick, scissors and all the paper/embellishments they could ever want. We had pre-cut large paper dolls and we put them to work designing their own outfit. The girls LOVED it and spent a good 30-40 minutes cutting and gluing. Some of the paper doll designs. Finally the take home (in addition to the apron, scissors and glue). I found these gift card boxes at Michaels. I hand cut paper dolls and their outfits and stuck them to an adhesive magnet sheet. 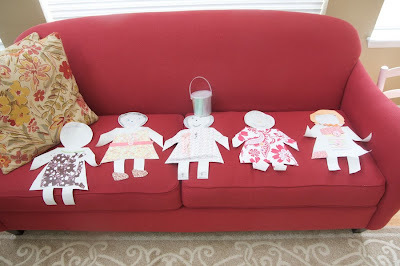 Each girl went home with their own magnetic paper doll and outfits. (tutorial here). *Next up: Stella's Fairy Extravaganza! Beautiful. Brittany, you are amazing. Your husband and children are lucky to have you! So cute! I love it! 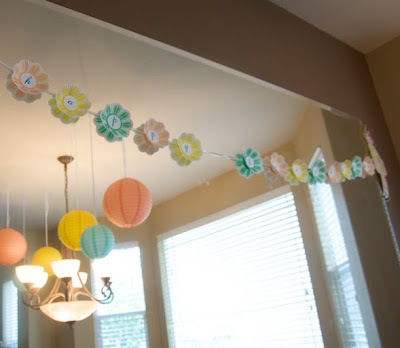 I especially love the cupcake banner paper. You rock! you are amazing and i wish you were here to plan addi's party. she wants barbie and the mermaid tail. boo. Brilliant - you can be sure we are still hearing about it at our house. 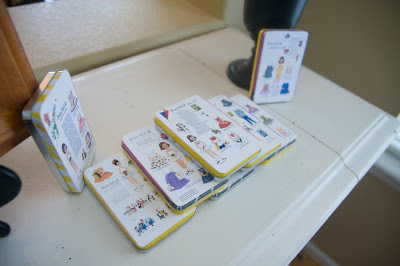 The darling paper doll magnets are adorning the fridge and get a new outfit every day. what a fun party...love all the decor, invites, etc. I'm sure the party girl loved it!!! How cute wish we could have been there. LOVE this idea!!! 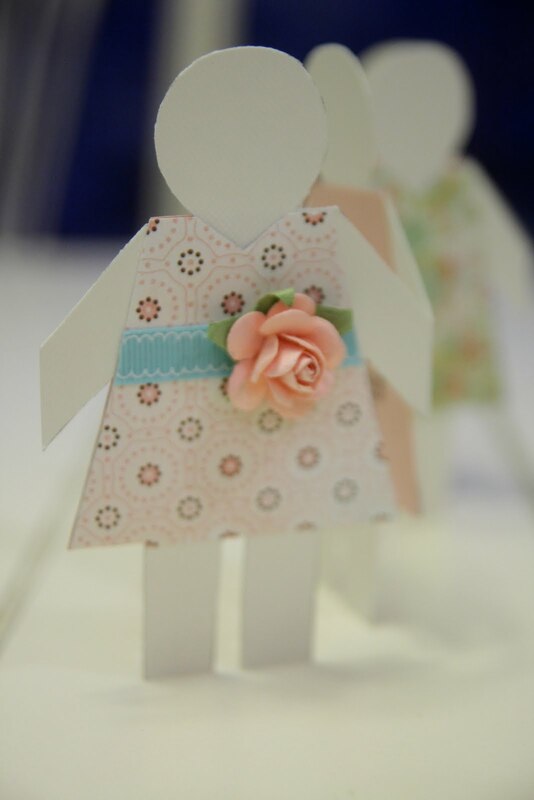 So cute and I have the paper dolls...perfect to file for the future. What a really nice job you did - thanks for sharing! I was super impressed. You did a great job. Lily loved the party! I can't believe this party! How fun. I want to have a party like that for my birthday. Nice job!